I saw Lara Favaretto’s exhibit Just Knocked Out at PS1 last summer and was recently reminded of it while going through a car wash. 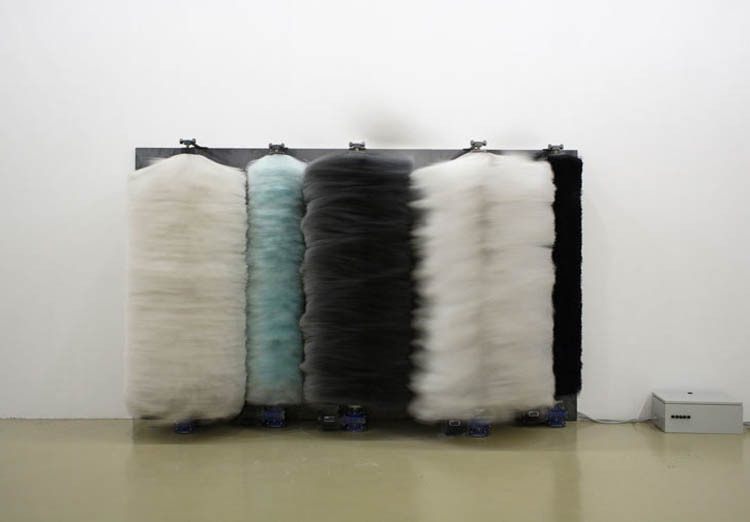 I enjoyed the whole show of her seemingly fun installations with their underlying theme of decay and obsolescence, but the piece that gave me a little thrill was one made of car wash brushes that alternated between spinning and stopping. Favaretto represents the eventuality of loss through a recuperative memorialization, often recycling elements from previous installations as new works, reusing discarded industrial materials, and encasing found paintings in loose tapestries of wool yarn. 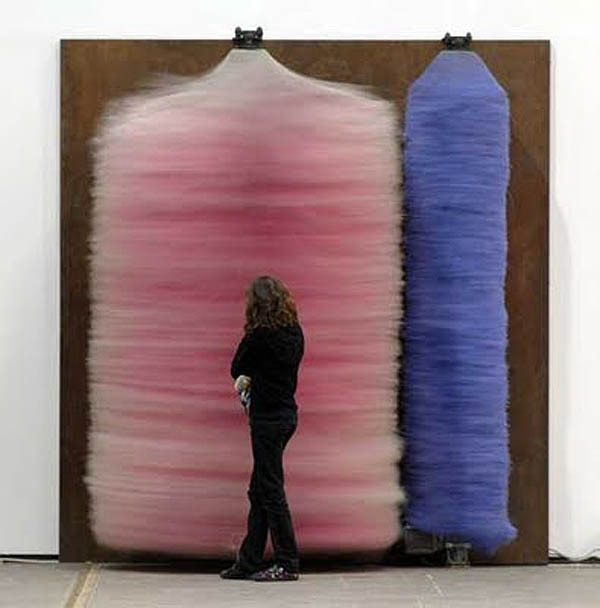 The reuse of the car wash brushes is evident in all the related sculptures/installations that she has exhibited around the world. Other works that stood out include confetti-blowing fans and 60 compressed air tanks that switched on and off at different moments, blowing out their attached party favors. You can see more of Lara Favaretto’s work here. Photos: Matthew Septimus/MoMA PS1; Alan Dimmick; Galeria Franco Noero; and Universes in Universe.